Kleptomania converts screen image to text. 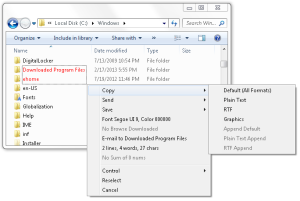 You may OCR text anywhere on the screen, including areas that you cannot highlight with your mouse, such as columns of data from a word processor or error messages from any Windows program. Getting text from screen: Taken for Granted? With dozens of screen grabbers on the market, we cannot copy part of the screen and paste it as a text, even if it is a text for our human eye. While the eye converts the image to text on the fly, the grabber actually grabs a bunch of pixels. 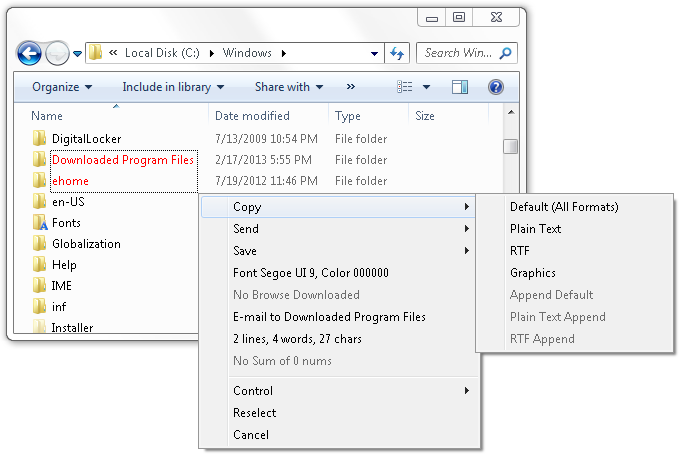 Applications support the copy-pasting for some window areas only. We all use text, much more than graphics, so where is a place on every PC for the utility that copies the uncopyable. Kleptomania uses Optical Character Recognition (OCR) technology to let you capture image from anywhere on the screen and then convert this image to text. This includes database lists, forms and reports, error messages, dialog boxes, status lines, folder trees and file lists. Kleptomania keeps track of all of your Windows fonts. It can convert to text all areas of your screen. The program can recognize underlined text including web and e-mail addresses. It works well for lines of text containing mixed fonts, font sizes, styles, and colors. Kleptomania can place the captured text onto the clipboard as plain text or Rich Text Format (RTF). You can copy and paste text into any editor or word processor, sum numbers in a column of copied data, count the number of words and characters that you’ve highlighted, and discover the properties of the font that is on your screen: font face, size and color (RGB). Download free 40-day fully functional Kleptomania trial. (Windows XP – Windows 10). Satisfied with trial? Order Now! put Explorer folder content to Word document or email in 3 seconds and 4 mouse clicks.